One thing about anime is that you don’t often get a whole lot of skin tone variation. Beauty standards in Japan generally entail being as pale and snow-white as possible, like porcelain. And because there isn’t as much diversity in Japan as there are in other areas, there isn’t a lot of variation in those standards. Maybe somebody gets a tan at the beach for a couple days, but that’s it. Japan also has a bit of a problem understanding when they’re being racist. Mr. Popo of Dragon Ball Z infamy and Jynx from Pokemon are just blackface creatures, and somebody had to tell them that’s not okay. But it’s not all bad. Sometimes they get it right depicting a character that is nonwhite. 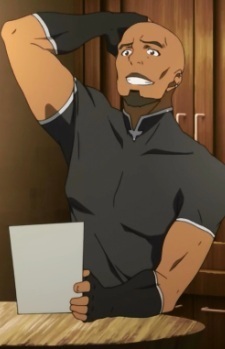 Here are 10 of the most likable, and least racist dark-skinned characters in anime. 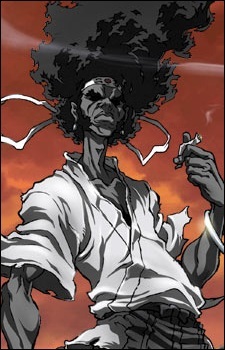 If nothing else, Afro Samurai is a unique series, and one of the most recognizable characters in anime. He stands out among the lily-white bishounen samurai out there. Okay, so there’s a lot going on here. Miyuki is cute, which is good. She’s a mechanic who works on giant robots, which is great. So far we have a character breaking both racial and gender stereotypes. Good job, Japan. Except… oh. Basquash is an anime about giant robots playing basketball. So Miyuki is a mechanic working on basketball robots. I really hope that isn’t the reason they decided to make Miyuki black, but I wouldn’t put it past them. 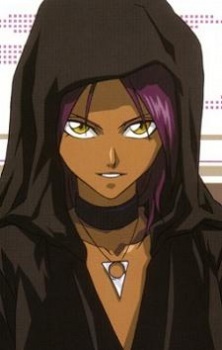 Yoruichi is pretty cool, all things considered. She is a noble who hates being treated like a noble. She can transform into a black cat, and while she can fight, she prefers to help from behind the scenes. Being that she can pop in and out of cat form at will, she lets her playful side out fairly frequently, shifting out of cat form into her (naked) human form right in front of people just to see their reaction. So yeah, she’s a flirt and an exhibitionist at times. There’s nothing wrong with that. Okay, so the opening premise of Michiko to Hatchin is that Michiko has escaped a maximum-security prison for the fourth time (at least). And that would raise questions as to why one of the only dark-skinned female leads for an anime ever is a wanted criminal? 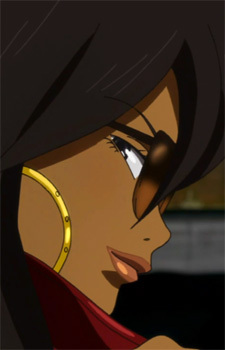 But the answer is, “because she’s super cool.” And also, Michiko to Hatchin is set in South America. So Michiko’s skin tone is more-or-less relevant. I’ll give this one a pass. Dutch just seems like a real guy. He served in the U.S. Navy as a PT bat captain during the Vietnam War, and now runs the Lagoon Company, which he named after his boat, Black Lagoon. He’s tough and seems scary, but is actually pretty laid back and seems like the kind of guy you’d want to just hang out with. 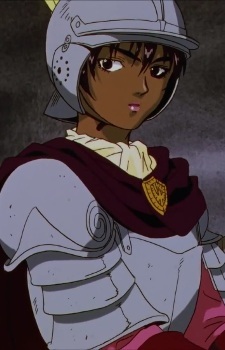 Casca is one of the strongest fighters in the Berserk universe, being the only female character in the Band of the Hawk. Despite that, she goes through an awful lot of bad stuff, as the primary love interest of the protagonist in one of the most infamous “feel-bad” anime/manga series in history. Casca is the target of several attempted and successful sexual assaults, and eventually has her sanity destroyed by watching the brutal demise of her friends and loved ones. None of this has anything to do with her race, it just has to do with Berserk being depressing and horrifying. This guy is a baker. He bakes bread. He’s super muscular because of all the working out he does to get better at baking bread. He’s the best French bread artisan in all of Japan. Yakitate Japan! is a strange and wonderful series, and everybody should watch it. 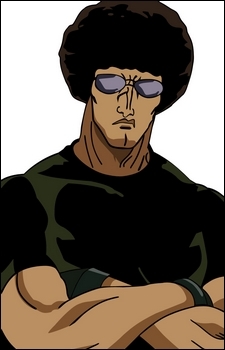 Ken Matsushiro is one of the most normal things you’ll see in the series – except where he features in one of the ending sequences. 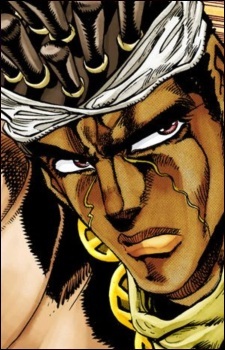 Mohammed Avdol is a smart, levelheaded guy who acts as the voice of reason while Polnareff is trying to jump into something feet-first, and Jotaro is acting cold and disaffected. He’s an emotional guy, and is an extremely good source of information for his comrades. He shows incredible heroism in the series using his Magician’s Red stand, and his race and nationality (he’s Egyptian) rarely factor into the series at all. 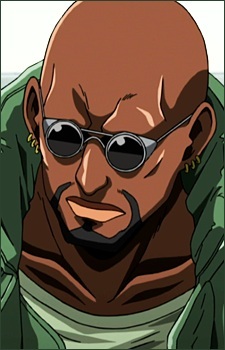 So basically, Mohammed is one of the best-handled examples of ethnic diversity in anime. An RPG isn’t much without a shop. And a shop isn’t much without a shopkeeper. I guess that makes him the Wal-Mart of Alfheim Online. Without question, Bob Makihara is one of the best lead characters on this list. Sure, he’s black. He’s from South Africa, even. But aside from that, he’s just treated the same as any other character. He has a girlfriend (who is decidedly not black), and he fights with a capoeira fighting style, which actually gives his whole character a sense of culture, instead of just stereotypes. 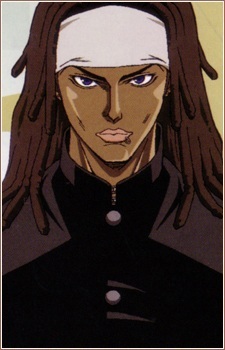 That said, Tenjou Tenge isn’t an amazing series, but it does have an A+ level use of a black guy that is neither racist nor forced. I am extremely interested in “anime”. I love to watch them, list my favourite ones, and keep track of their upcoming series. 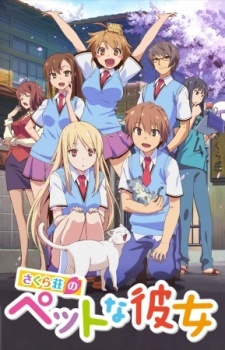 I have especially chosen this site namely Online Fanatic for anime lovers. I get a nice list of every kind of anime genre that I choose. Skin color isn’t the only physical difference between the races. Asians and whites, for example, have similar skin tones, yet we look completely different and are immediately distinguishable from one another. Black people have very different facial features and aesthetics compared to Europeans and I’m sure it wouldn’t be necessary to list them all here. You can color a black person white in photoshop and they still won’t fool anyone that they are actually white/European. How is michiko skin colour more or less relevant? Are you dismissing her because she’s a mixed race sul-american? Humm, you know what we call what you just wrote there? RACISM. Good move you mtf. Mr Popo was hella tight, and a genie. Jynx was based off of some creature from Japanese folklore. Black Americans just always try and find a way to hate on anything popular. Great article nonetheless, choco love in shaman king was tight too.